Amazing Spin® & Core Workout in the Best Spinning® App! Meet Jess N, our Cycle Queen of the day. When you click play on this class in the best Spinning app (SSoD of course), you’re gonna feel non-stop power and motivation orchestrated by what many deem the UK’s most famous motivating rockers, you know the ones! 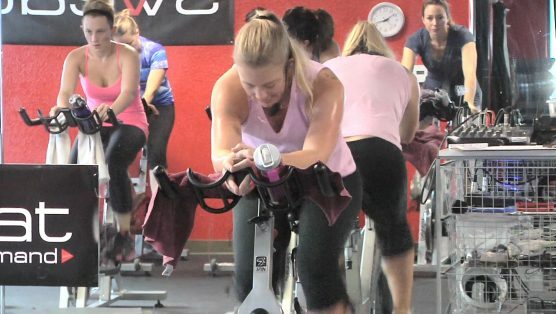 Hop on and get ready for one of the best rockin’ Spin workouts of your life! Ride on. Rock on. BONUS: Once the ride is over, Jess is gonna tear up those abs with a killer core set. Get ready to feel the burn! So I miss the original class music, but I do love the way Jess teaches. This is my kind of music!!! Great job Jess !!! This is one class that I will be returning to as I get fitter and stronger and maybe I can keep up,,,,some day. You are wonderful! I loved it! Thank you so much!! Loved it! Rock on Jess. That was a great class!i have added you to my favorites thank you! Great Class Jess! Yes…you are the Rockin’ Queen! Awesome! Just what was needed after bad day at work! Thanks Jess! I like Jess N. A lot. I hope to see some more of her! Great class!! Loved all the drills and the core was great at the end! Great class!! The music was great and Jess made the time fly right by! Thank you!! Have been away from Studio Sweat on Demand for too long (knee injury) but back on the road to recovery, loved this session and being from the UK loved the rock classics. Thanks Jess! AWESOME! My first class with Jess N and absolutely loved it! I love your style, music and personality! The audio was great too! I have found a few classes I can’t watch because the mic too low and the music drowns the instructor out. GREAT CLASS! Thanks! MM2019 – So glad this class came back! MM2019 Week 4 Extra class #3 Super awesome! MM2019. First class with Jess, it was great. Completed about 25 mins. Will do again. Great pace and great music. Thanks! Queen J in the house! Great sweat and lots of fun sings. Love this just as much as the “other” class!! I matched my calorie burn which was my record breaking burn of 690 in the other class. The core was intense and I’m already feeling it!! Keep them coming Jess!!! MM2019 – Great spin class and core at the end. Love Queen! Great class! Going into my favorites. MM2018-Fun music and enjoyed the class and abs at the end! Yohh are rock in it Jess! Great class! Love it. Rock it music is the best !!!!! Spin Core: Over the Edge! 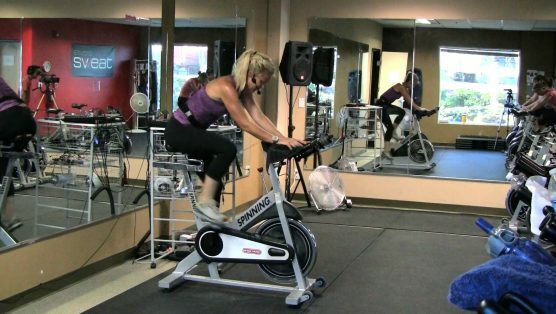 Full 60 minutes of heart pounding, sweat dripping Spinning® & Abs. With 6 minute sprint stretches as a highlight you might be pushed over the edge! The core drills target the upper abs, lower abs, obliques and the 6 pack… add some push-ups to hit it extra hard! Keeping it slim & solid. 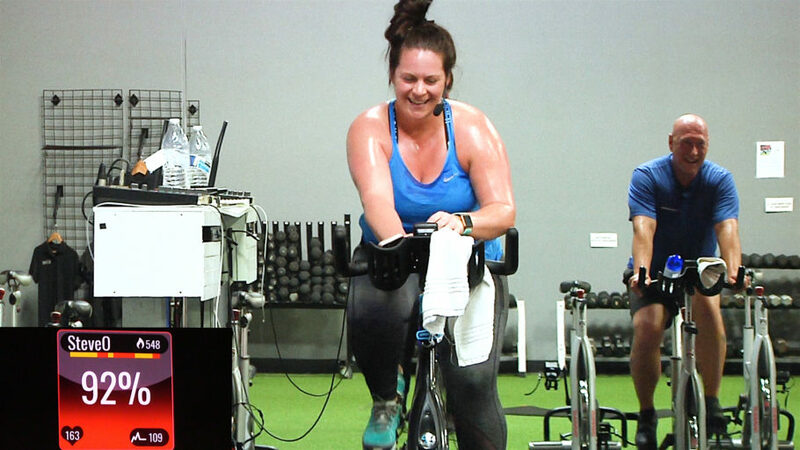 Join Bethany and crew for an awesome Indoor Cycling class, where you burn hard for about 40 minutes on the bike, and then finish on the floor with a quick Killer Ab Workout. It’s gonna feel so good! You don’t need any extra equipment, just lace up those shoes, grab a towel & water, oh, and don’t forget your “A” game today, you’re gonna need it! Get ready for a fun filled, yet intense, 45 minutes of Spin where we sprint, climb & laugh with the trash talking in full effect. You might even forget you’re working hard! Finish the hour with some solid ab work & walk away sweat soaked, but happy! Get ready to really SWEAT! Start with 20 min. on the bike with lots of hills & powerful breakaways. Think quads on fire! Then hit the floor for 12 minutes of core work. Your abs may be hurting for days! Finish with hills, endurance, & jumps! Power!! !